The Globe and Mail, through its newspaper, magazine, online and mobile platforms, is Canada’s foremost news media company. Each day, The Globe leads the national discussion by engaging Canadians through its award-winning coverage and analysis of news, politics, business and lifestyle. The Globe and Mail, Canada’s national newspaper, founded in 1844; Report on Business, Canada’s most influential business magazine; and globeandmail.com, the newspaper’s online and mobile media hub, reach a combined 5.7 million readers every month. The Globe has received numerous journalism awards, including the international 2011 prize for General Excellence in Journalism from the Online News Association, nine Michener Awards for Public Service Journalism, and more National Newspaper Awards than any other newspaper in Canada. Eluta.ca is a vertical search engine that monitors new job announcements at employers across Canada. It lets job-seekers discover new jobs in Canada as soon as they are posted on employers' websites. Discover the search engine the Toronto Star calls "a sea change for job-seekers". Delta, Air France, KLM, and Alitalia’s Joint Venture offers flights from more than 25 Canadian cities to major business cities. Our global network offers business travelers convenient access and more schedule options to virtually any city where they do business. Being also members of the SkyTeam® alliance, we offer access to more than 1,000 destinations and 500 airport lounges worldwide. Each year, we offer a limited number of exhibitor and sponsor opportunities for the Top Employer Summit. 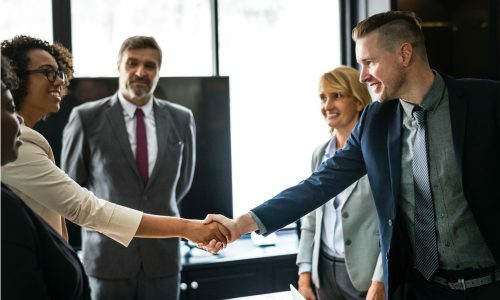 Becoming a sponsor or exhibitor at the 2019 Top Employer Summit lets you connect with hundreds of HR decision-makers interested in improving their workplaces. 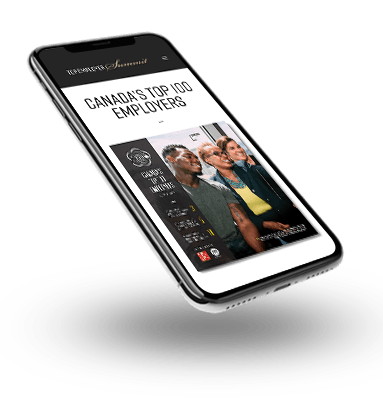 It’s the only event where you can meet the winners of the Canada’s Top 100 Employers competition, as well as hundreds of senior-level HR professionals from Canada’s most progressive organizations. We carefully plan our event so that conference sessions are presented in a thoughtful, commercial-free format — exhibitors and sponsors interact closely with our attendees in a respectful and professional way. From the conference programming to food and venue choices, we plan every detail to make sure our senior-level attendees feel comfortable. Our limited exhibitor and sponsor opportunities sell out each year, well before the conference takes place.